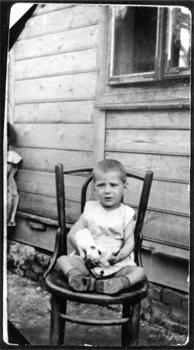 Holocaust Survivors: Photo Gallery - "Berele with Cat"
Yissochor Dov or Berele was Eva's younger brother. He was named after the Belzer Rebbe who blessed Eva as an infant. Berele jumped with Eva from the death train.